Control two computers through one keyboard, monitor and mouse. This self-powered switch requires no AC adapter. Speaker and microphone connections allow you to share audio components between computers, while independent switching provides an uninterrupted flow between machines. Operate the switch via hot keys, software or buttons on switch. Compact design saves desk space. 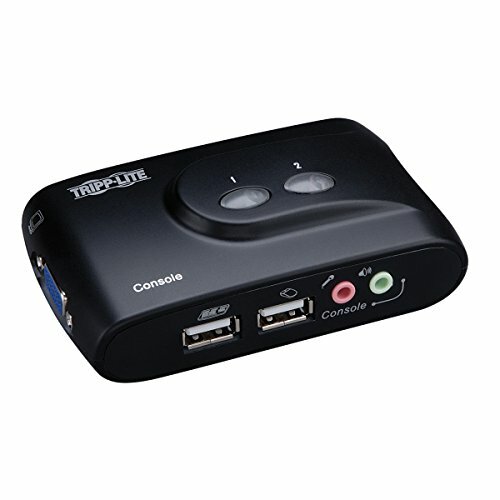 Connector/Port/Interface: USBHD15 MaleHD15 FemaleAudio Number of Ports: 2.